Leaders need external and disinterested people who can help them explore sensitive issues and uncertainties. Otherwise, they become isolated. With power and responsibility comes isolation. Every leader is surrounded by people who have an agenda. There is a difference between allies and confidants. Allies provide the second opinion. Rather than approach the people on your team as enemies or as threats, see them as the allies they are (and should be). Their opinions are valuable to you. It’s all part of the Habit of Relationship. Are willing to be wrong. Create an environment in which people feel safe expressing opinions. Know when to do expert and exponential thinking. Think about yourself as part of a larger whole — or many larger wholes. Are committed to developing your own capacity and that of others. How many times have you worked with leaders who you felt really didn’t listen, never admitted being wrong, or took all the credit? How likely were they to miss things, have others not tell them important information, or find themselves unwittingly out on a limb on some issue? How often did you feel such leaders were committed to developing the best in their team or in themselves? Now, look at yourself. How would you rate yourself in all those areas? Knowing yourself is the starting point. The next step is to build relationships that support and sustain your leadership, with trust. Trust isn’t static. It changes. There are many good reasons to build a high-trust company and culture, but that doesn’t mean the same levels of trust apply to everybody equally. Trust has to be constantly revisited. 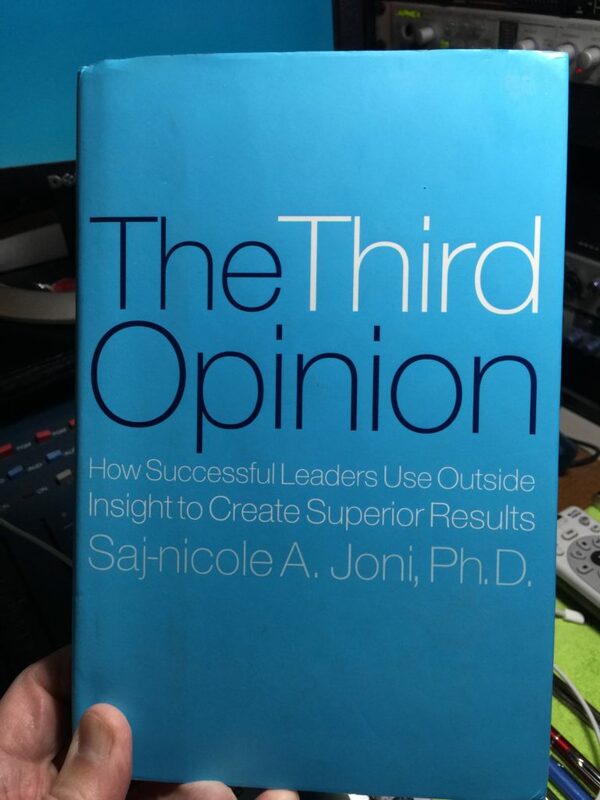 The author’s research reveals three fundamental distinctions of trust that leaders must understand and develop: personal trust, expertise trust, and structural trust. Personal trust. This is the trust that develops in the workplace from shared tasks and an understanding of what makes your colleagues tick. For most, this is the basic meaning of trust. It’s knowing your teammates won’t let you down when it counts. It’s also a problem for people promoted to leadership. It boils down to your belief if the person is honest and ethical. And your belief they’ll make good on their word. Coupled with your confidence that they’ll maintain confidentiality and discretion. This understanding of trust is what gets leaders into trouble later on. The team that proved so ready to help when you were one of them has a different agenda now that you’re a leader. They now are looking at you for two things: the same old trust and something new, access to the power and influence that come with your new position. You can’t trust them as you once did. You know something is different, even if you can’t clarify what it is. So you start to behave differently. Two new kinds of trust that go beyond personal trust now become important. Failure to understand them will trap you and end your career before you even have a chance to soar. This trust comes from competence and knowledge in a particular area. You’ve got colleagues who are brilliant about a specific area. You feel completely confident speaking with them about that area. But there are other areas of the business that you wouldn’t dream of discussing with them. Nor should you. Expertise trust focuses on the knowledge, judgment and thinking abilities of somebody else. Do I trust that these people are expert in their fields? That their knowledge is up to date? Do I trust the information they gather to inform and support their positions? That they’ll know and tell me when they know? These are the types of questions to ask about people’s expertise. This trust refers to how much someone’s position or role affects your confidence that they’ll be able to deal with you straightforwardly. Some questions to ask here might include, “Are they in a role where their judgment and thinking is likely to be majorly influenced by their need to advance their goals, self-interest or advocacy?” Are they able to be loyal to me? Where might they have competing loyalties? Are they likely to filter data because of their role? Will their role hinder them from being fully honest and open with me? This is the kind of trust that changes the most as you become more senior. At the entry level, in most companies, you have relatively little reason to be concerned with structural trust, but as you move higher, increasingly the people you encounter will want to influence your thinking for their own purposes. Your relationships are interlaced with self-interest, advocacy and multiple loyalties (not just to you). It’s not necessarily a bad thing – you want a team where these things line up. The problem is many leaders either don’t understand the dynamics at play or don’t know how to translate this knowledge to work in their best interest – or both. The absence of high structural trust relationships is a critical hole in your leadership team. You must have some people in your inner circle with whom you share the highest levels of structural trust as well as high personal and expertise trust. As you rise through the leadership ranks, the nature of your relationships become more complex. It’s never too early to think systematically about your work teams, advisers, experts and friends. Begin by developing your action and inquiry teams. Every leader needs action teams to carry out the daily business of the operation. You need to fight fires, solve problems, set goals, meet contingencies and all the rest of the operational necessities. Beyond that, you need inquiry teams to help you think beyond what’s urgent and immediate to what’s important and long-lasting. You need teams to help you think about strategy, direction, focus, sustained growth, the market and all the other things vital to future proofing your thinking. Action and inquiry teams may not always be independent. Leadership at all levels requires agility in working with many of the same people in both modes: action and inquiry. You also have to build your internal and external circles. Exponential thinking means balancing action and inquiry, working with both internal and external people. By its very nature, exponential thinking is a matter of crossing intellectual boundaries. You can’t do the whole job confining yourself to the internal world of your company. Nor can you do the whole job without unfiltered information, without looking for hidden or habitual assumptions, or without vetting key ideas with people not invested in the perspective or culture of your company. The better your internal teams, the better your external teams need to be. That’s how you can leverage the outside boundaries to your best use. It’s how you build a culture that embraces new ideas, constantly raises the bar, invites collaboration and is positioned for flexibility. Back in the 60’s and 70’s a leader’s external network wasn’t complicated. Typically, it was populated by old friends and by the traditional professional service providers like attorneys, accountants, and bankers. Since the 70’s and 80’s newer professional services including management, technology, and infrastructure consulting joined the ranks. These professionals typically provide highly skilled resources that can augment the capacities of your teams. In the 90’s the leadership territory has expanded to include an even wider range of external people. Today your work likely crosses boundaries with customers and supply chain. Alliances and joint venture partners abound. You’re working with more external people on action. So you need to expand your external teams for inquiry in a similar way. Who exactly do you recruit for each network? Contacts are the folks who make up your extended network. These are your Linkedin connections and the people in your contact list. They’re generally casual acquaintances, people you’re in touch with occasionally. They’re invaluable. Your working circle is the essence of your daily life. Your inner circle is increasingly important as you rise through the ranks. Your working circle is made up of the people you’re regularly in contact with and count on as resources. The distinction between working circle and inner circle takes on greater significance as a person progresses from early leader to key leader to senior leader. The author goes on to discuss these different leadership levels and diagrams how these roles impact our circles. She offers one warning: never mistake a working-circle inquiry team member for an inner-circle inquiry team member. The former possibly has conflicting loyalties. You should read this chapter carefully and give deeper thought to the terms the author has created to identify these various people who surround you. By now you likely realize this is a dynamic and complex arrangement of people who can (and will) influence you. The people you choose to join you in this inner circle of thinking partners have to be committed to and capable of functioning without conflict of interests or divided loyalty. You also need access to people who are your peers. What counts is range of experience, ability, and judgment. Permit me to insert here — this truth is precisely why I’m launching The Peer Advantage by Bula Network. The ability and opportunity for a leader to assemble such a group of thinking partners is something many leaders never do. Fact is, most don’t. A ridiculously low percentage of top leaders and business owners take advantage of getting with a group of peers who have no ties, no conflicts of interest and no agenda other than to help (and a willingness to be helped). It’s been proven to be among the top decision-making tools for a leader. You’d think more would leverage it for their benefit. But as the authors of THE POWER OF PEERS pointed out, it’s largely unknown by leaders. They’re not stupid, but they’re ignorant that such groups exist (and can serve them in ways unavailable anywhere else). Additionally, it requires intentional, strategic assembly. Too many leaders rely on it to just happen. Organically. And it doesn’t. What does happen organically is you typically find yourself surrounded mostly by people just like you – people who think like you do, agree with you (mostly) and closely mirror who you are. That’s the opposite of what Ms. Joni calls “exponential thinking,” where you’re exposed to all the various sides of an issue. So leaders need somebody who can put them at the table with inner circle thinking partners who will serve them without any agenda other than to make sure every member of the group excels. That’s exactly what The Peer Advantage offers. Learn more by going to ThePeerAdvantage.com. This chapter closes with a section entitled, Four Signs That It’s Time To Reach For The Third Opinion. The author has listened to leaders throughout the years to assemble some patterns that have emerged about how and when these leaders knew it was time to reach to the inner circle. Trust and perspective have never been more critical for leaders. The development of your inquiry inner circle is lifelong and evolving. It’s never too late to start, and it does look different at different stages of your career. Trust takes time. It can’t be created instantly. It can’t be coerced. It can’t be bought. Next time we’ll summarize chapter 5, Habit Of Focus.